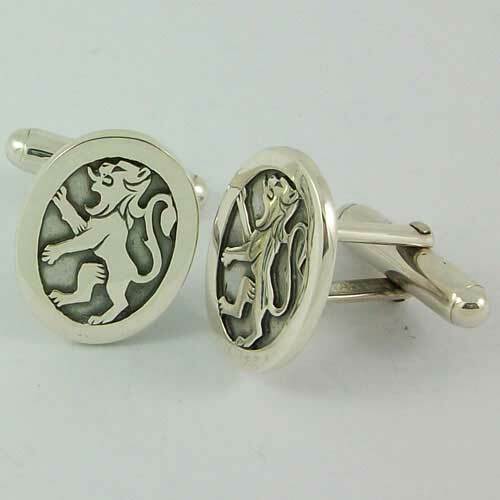 Lion rampant silver cufflinks the national symbol for the ancient kings of Scotland. Hallmarked Sterling Silver. Hand crafted by Hebridean Jewellery.